Kim Jong-un, the North Korean leader, has condemned international sanctions on his country as the work of “hostile forces” to impede efforts to improve the living standards of his citizens. Kim was quoted in North Korean media as insisting that he would defy the “brigandish” sanctions on his regime in a message calculated to reinforce support for his leadership at home and, at the same time, send a message to Washington ahead of talks that may be held as early as next week to explore the possibility of a second summit between Kim and US President Donald Trump. Speaking during a trip to a construction site in the Wonsan-Kalma district on the east coast of the country, Kim said: “The hostile forces are foolishly keen on vicious sanctions to stand in our way toward the promotion of people’s well-being and development and to lead us to change and submission. “But they will be made to clearly see over time how our country has built its strength hundreds of times over, defying hardship to build a powerful nation through our own strength, technology and efforts”, the state-run Korea Central News Agency quoted the North Korean leader as saying. Kim’s comments have been echoed in state media in recent days, with the Uriminzokkiri website declaring sanctions to be “a fabrication aimed at escalating confrontations and a crisis of war by blocking exchanges and cooperation”. Despite Washington’s insistence that North Korea needs to show firm evidence of its previous commitments to scrap its nuclear weapons capabilities, China and Russia have both gradually relaxed sanctions on Pyongyang in recent months. The South Korean government is also calling on the US to show flexibility on the issue, with the administration of Moon Jae-in insisting that North Korea will respond positively if sanctions are toned down. 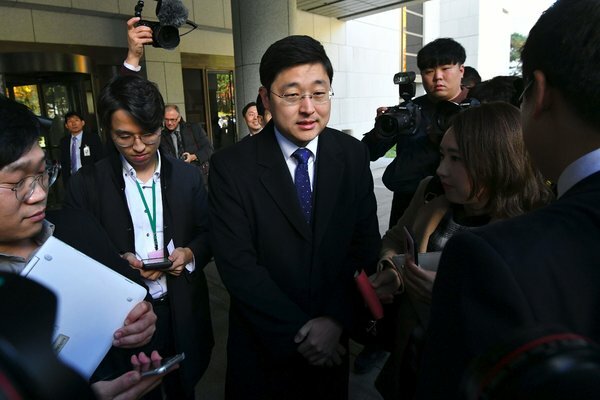 Moon Chung-in, the president’s special adviser for unification, diplomacy and national security, said in an interview with The Korea Times that Trump needs a different attitude towards the North. “The US views North Korea in the frame of crime and punishment; this is its social construct of reality that North Korea cheats and lies”, he said. “But if it only looks at Pyongyang through this frame then there is no way out. There needs to be a more pragmatic, flexible approach to North Korea”. During the last meeting between senior North Korean officials and Mike Pompeo, the US secretary of state, Pyongyang refused to provide a list of nuclear facilities and assets. Washington says there can be no progress in the stalled denuclearisation talks until Pyongyang comes clean on its nuclear capabilities.